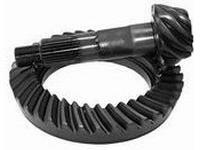 Motive Gear, Performance Ring gears has taken the performance market by storm. Motive Gear Performance became the official gear of ARCA in 1997 and is currently in use by many of the top names in NASCAR, BUSCH, ARCA, NHRA & IHRA, to name a few. Proven time and again at tracks like Daytona and Talladega, this gear holds up to the test. Made with the highest quality european material. 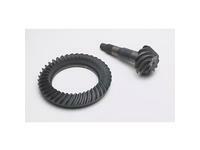 Strict tolerances are met from the forging quality european material. Strict tolerances are met from the forging process to the heat treating process. Manufactured by a single factory insures perfect set up every time. Ideal for any application, but we highly recommend using in vans or car applications were noise may be a factor.